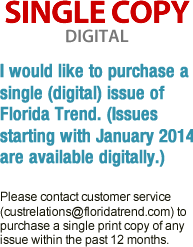 Florida Trend is now available digitally. 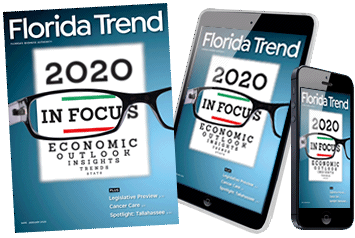 Access the new digital edition on mobile, tablet or desktop! The first time you wish to access a digital copy on your tablet or mobile device, you must first download the appropriate app from either iTunes or Google Play. This app is absolutely FREE. 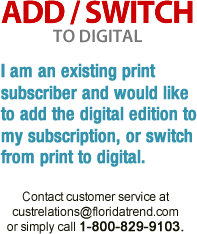 If you are an iPad or iPhone user and have already purchased your subscription or even a single copy directly from us, you must click on the lock at the top of your screen and follow the prompts for accessing your issue. If you don't click the lock, you will be asked to pay again for your copy or subscription. Refer to your confirmation email for login and/or account information.